AMG® is the performance division of Mercedes-Benz, responsible for designing race-quality upgrades that catapult Mercedes-Benz models into a whole new realm. Driving an AMG® proves that luxury and performance can be melded into extraordinary vehicles that set the standards for power, handling, steering and efficiency. AMG® vehicles are fast, fun-to-drive thoroughbreds with superstar handling. Just grip the wheel, press the accelerator, and grin. SUVs and Wagons: GLA 45 SUV, GLC 43 SUV, GLE 43 SUV, GLE 63 SUV, GLE 63 S SUV, GLE 43 Coupe, GLE 63 S Coupe, GLS 63 SUV, G 63 SUV, G 65 SUV, E 63 S Wagon. Crankshafts: These are forged and balanced for every single engine, with a remarkable combination of light weight and strength, thanks to aluminum pistons that provide immediate, smooth response. Transmissions: AMG® gearboxes deliver power with precision and speed, with up to four selectable driving modes with multi-clutch technology. Handling: Responsive handling is a hallmark AMG® characteristic, with sophisticated weight distribution, wheel design, frame rigidity and load transfer. The AMG® Ride Control sport suspension adapts damping in real time according to driving conditions. An advanced high-performance braking system with oversize, multi-piston calipers and perforated rotors assures confident control. Aluminum and carbon-fiber-reinforced plastic are used innovatively to produce lightweight design solutions for efficient, optimal tracking. Exhaust: The sound of an AMG® exhaust system stimulates your adrenalin with its sonorous growl. Each model has its own signature exhaust note that varies with different drive modes. AMG® 4MATIC® All-Wheel Drive: An upgrade to the standard system, AMG®’s take on AWD delivers more torque and up to 35 percent less weight. AMG® Design Features: Look for some or all of these features on every AMG® vehicle: twin-power domes, wide stance, rear diffuser, AMG® cockpit (with hand-fitted and stitched leather) and AMG® front apron. Our factory-trained, certified technicians perform a comprehensive inspection on every new AMG® we receive from the factory to ensure that everything is in perfect shape. We guarantee you a spotless, perfectly-operating vehicle that you will be proud to drive. The Mercedes Benz factory warranty protects you in the extremely unlikely event of a defect in your new AMG® vehicle. 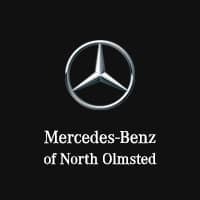 We cordially invite you to visit the AMG® Performance Center at Mercedes-Benz of North Olmsted to test-drive any prestigious Mercedes-Benz AMG® model. Our VIP customer service will please you with our devotion to your satisfaction, and we look forward to seeing you soon.